This collection centers around the idea that in our constant hustle mode, it's way too easy to lose sight of what really matters. Like, we're all working our butts off, and it's cool and it feels good and stuff, but sometimes you gotta ask yourself...what's it all about? What's it all for? Am I really making an impact that is positive? Am I really living the life that I want? We don't get to ask ourselves these questions nearly enough. It's just as important to your success that you maintain a sense of balance, have slightly more than zero chill, and remember that fresh air does the body (and mind) good. Each of the items in the collection has a story behind it and is meant to remind you to slow down and take a deep breath every once in a while. We played with soothing colors like green and caramel brown, comfy styles like full-coverage undies, chill symbols like peace signs and waves, and textures that remind us of the ultimate slow n' steady animal, a tortoise! To prepare for this launch, we did a two week road trip from LA to Atlanta, popping up in some really cool cities along the way. We got to see lots of friends, make new friends, and hear what people thought about the new collection in person. The NOPE undies were a huge hit in ATL, the Balance socks were big in LA, and the new Money Bags popped off in Nola. 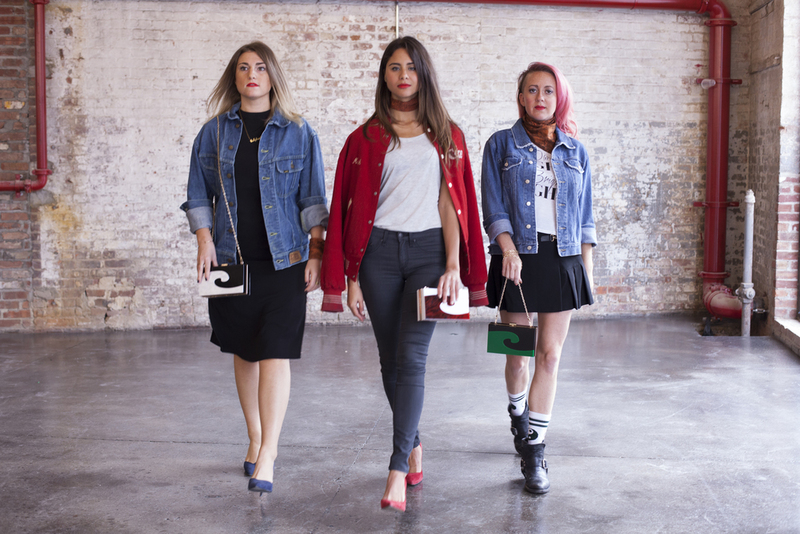 CLICK THROUGH HERE to see everything in one place and meet the ladies in the lookbook. THANK YOU AS ALWAYS FOR YOUR SUPPORT. WE COULD NOT DO THIS WITHOUT YOU.